DMS Ascension is an ultra-powerful dance music workstation. It’s a cutting-edge synth, a huge ROM sound library and a vast collection of tried-and-tested track-ready royalty-free MIDI files in one glorious package. It’s everything you need and more! 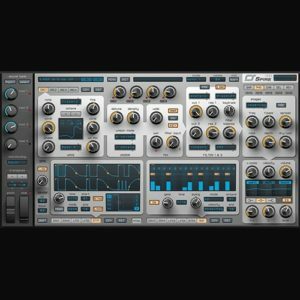 DMS has crammed over 20 years of production experience into Ascension with the goal of creating an essential tool for anyone making EDM or synth-based music. Four multi-select oscillators combine subtractive, wavetable and ROM-based synthesis options, as well as FM capability. Why choose between a high-end synth and a ROMpler when you can have both at a hilariously low price? The ROM section includes an astonishing number of varied samples, including a 10 GB library of soaring pads, searing synths, fat basses, shining dance pianos and ethereal choirs that are aimed straight at the dance floor. Combine these lush, layered sounds with your own gnarly hand-drawn custom wavetables, FM weirdness, fat detuned subtractive tones or anything else you can summon from the powerful editing and modulation options. You’ve got both immediate, playable sounds and maximum creative flexibility. Drag-and-drop MIDI pattern playback is included, as well an arpeggiator and a vast royalty free library of track-ready MIDI loops from the dancemidisamples.com archives. If you’re a beginner, Ascension has every synth sound and MIDI pattern you need to make a great dance track: we’re not exaggerating! Just plug it into your DAW and off you go. If you’re a pro, you’ll want a top-quality array of utility patches that can slot straight into your next production, combined with the power to create your own innovative signature sounds from scratch. If you make dance music, DMS Ascension has got you covered. Draw your own unique waveforms for oscillators and LFO patterns! Shape your sound with 8 modulation sources and 4 extra mod envelopes, allowing you complete control over all four oscillators. 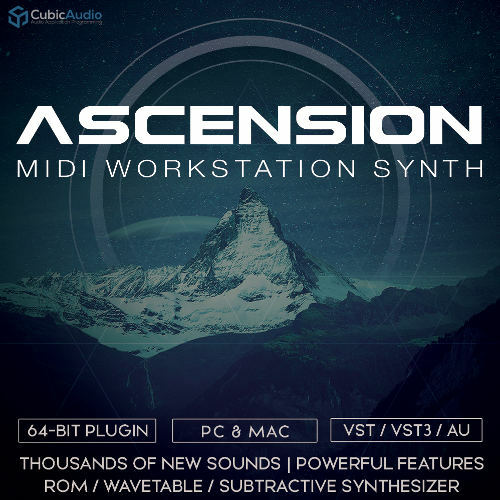 Ascension comes as a 64-Bit VST, VST3 and Audio Unit plugin with stand alone versions for PC & Mac.